All your Nationwide Delivery questions answered. Due to current high demands, Standard Delivery orders will be delivered within 5 working days. We will contact you shortly after your order is received and notified when delivery will take place. Please note, should you require a specific day for delivery we are happy to help, simply contact us on 0114 234 3924 or let our representative know when contacted for delivery. We offer a In-House delivery service for the majority of our products. These products are available for 1-2 working days delivery, depending upon the time you order and subject to availability. If you order by 4pm Monday - Wednesday, we will deliver your product/s within 2 working days. If you order by 4pm on Thursday - Friday, we will deliver your product/s the following Monday. If you order between 5pm on Friday and 5pm on Sunday,we will deliver your product/s the following Tuesday. Subject to availability. Saturday delivery will cost an extra £5 and you will need to order by 4pm on Thursday for products with a normal lead-time. For products with a 7-day lead-time, delivery will be made the Saturday after you place your order, so your products will take over 7-days to be delivered. What about products with a 7-day lead-time? We will aim to deliver these products within 7 working days; between 7.30am and 4.30pm. We will let you know when your order will be delivered. How much is Standard delivery? Outside zone 1 and 2 the prices below apply. This depends on the weight of your order, our deliveries are sent out via consignments or pallets. Please see the table below. *Please ensure your address has sufficient access for pallet delivery vehicles. What are Supplier Delivered orders? Due to some products being of a larger size or containing other restrictions, they are delivered directly from our suppliers. Please be aware that even when placed in the same order, Supplier Delivered will always be delivered separately from our Standard and Bulky products. Suppler Deliveries generally take place between Monday and Friday, with delivery slots varying between products and suppliers. You will be contacted directly by our suppliers to arrange a convenient delivery date, so you know when to expect your order. 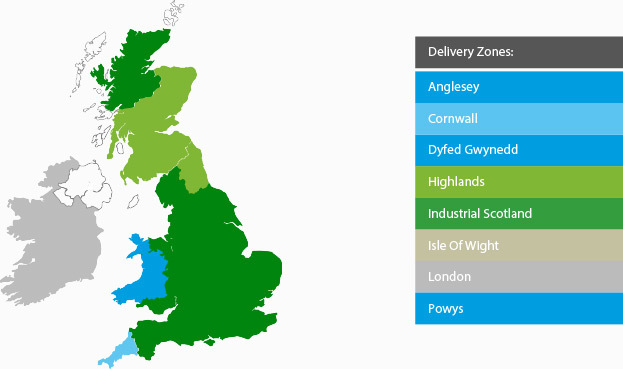 Our suppliers will deliver to most mainland UK (Great Britain) locations. Depending on the supplier, some remote areas may not be covered. Please contact us at webenquiries@hillsboroughfencing.com for more information. Add for click and collect. Pay online collect FREE in store. Hillsborough Fencing currently offers a free service, which allows you to place an order online and collect it, in-store, completely free of charge. We aim to have your product/s ready to take home with you within two hours of receiving your order, excluding products with a 7-day lead-time or Supplier Delivered. When you've placed an order, we'll send you confirmation by email and let you know when your products are ready for collection. You'll need to bring your order confirmation email, either printed or on your mobile device when you collect your order. 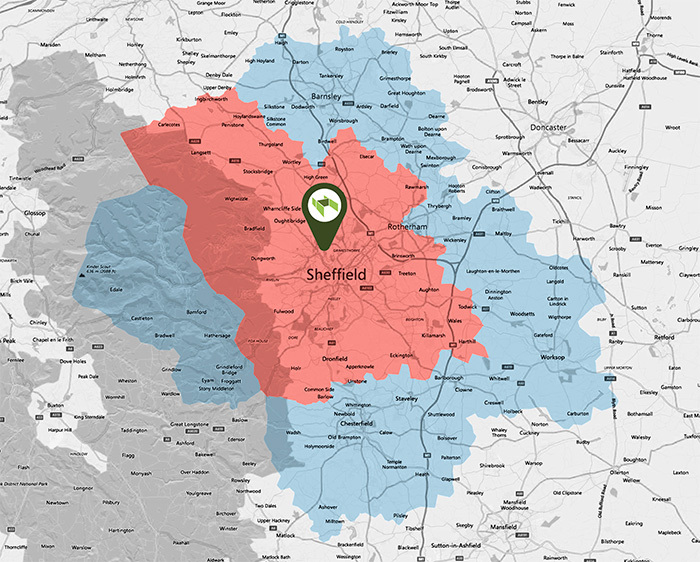 Your order will be held at Hillsborough Fencing, Sheffield for 7 days from the time your order confirmation email is sent. We will get in touch if you don't collect your order within the timeframe specified.